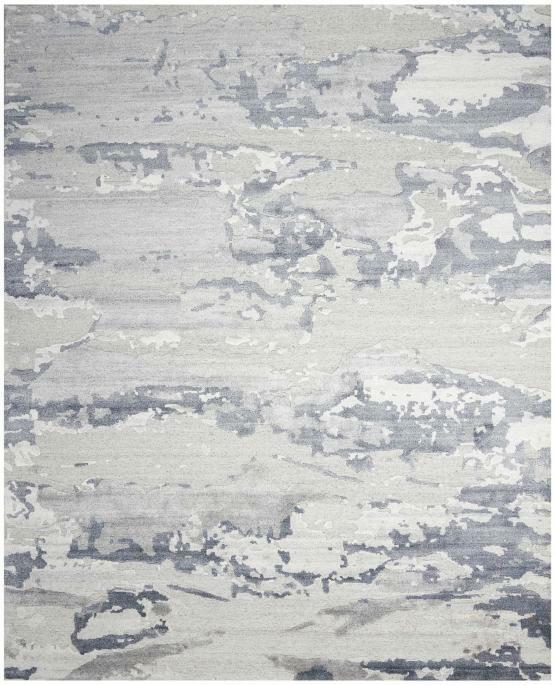 An abstract impression of clouds, mountaintops and dreams seems to drift across the luminous field of this Divine Collection area rug. It is an imaginative and artistic choice for beauty and sophistication in the home. Ultra luxurious in hand-knotted wool enhanced with silken Luxcelle fibers.